Graham Chidgey has been a leading wine importer of French and Italian wines to the UK for more than 35 years. He lives in Ancaiano near Siena, together with his wife, painter Angela Chidgey. 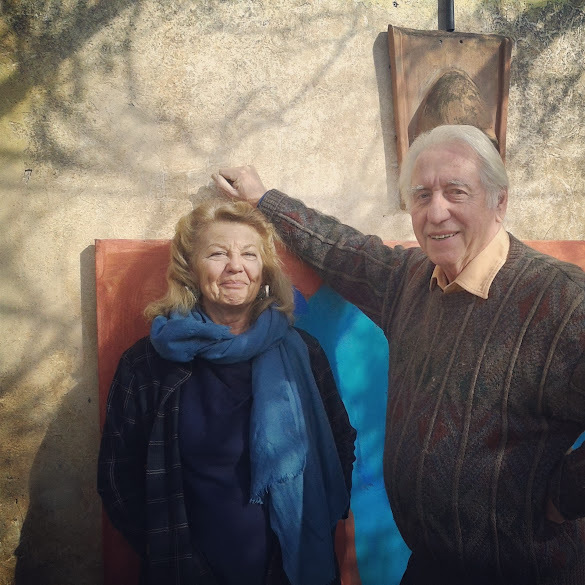 I've met Graham and Angela in the late 90s when working for various wineries in Montalcino and always enjoyed Graham's no nonsense approach to one of the world's most famous wines. You have lived in Tuscany for nearly 20 years. What brought you here? 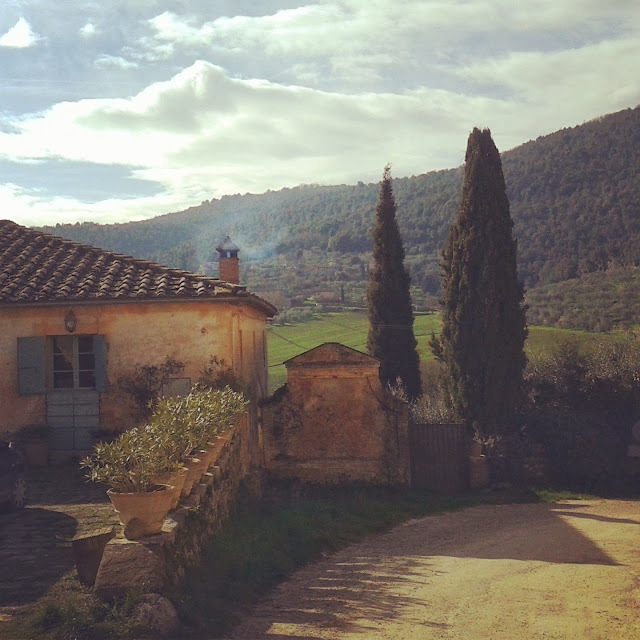 Originally we bought a casa colonica (a Tuscan farmhouse) in Radicondoli for family holidays. Angela specially wanted to paint in Italy and I visited France nearly every month so I felt also Italy would suit us better. You started out as an importer of French wines. When did you first taste or drink a Brunello di Montalcino? Did you take to it right away? Not specially as Brunello was then still being made mostly by Montalcino's contadini with many winemaking faults because of the farmers' lack of experience. Many quality winemakers were not yet settled in Montalcino. Towards the end of the 19th century Brunello di Montalcino was conceived as a 100% Sangiovese wine. Should producers stick to this recipe or would a blend be more appropriate in the 21st century? Stick to 100% Sangiovese. It is the grape that has made its home here and in Chianti so blending would strangle its birthright. You have visited countless vineyards in Montalcino. What trends and changes in wineries and wines have you noted over the years? Some minor trend towards barriques, en lieu of the larger barrels used traditionally. Obviously partial use during barrel aging can concentrate the flavors but it's very easy to be overused and spoil freshness. 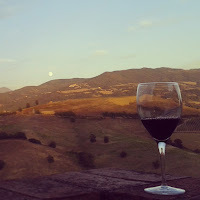 As a wine merchant what recommendations do you have for Montalcino’s 250 plus wineries? Continue to make the best Sangiovese. People look to Montalcino as the base of Sangiovese. They don't want to buy Merlot or Cabernet here. The French grape varieties can produce great wines here too, but it's not the purpose of Montalcino. Personally, I think it's a mistake to even permit for those varieties to be planted. There's also the question of where the Merlot goes. We don't want it in the Sangiovese. The Merlot helped the wine to show more fruit when young - which was particularly useful for its sale on the American market - and Cabernet Sauvignon gave it more substance for longevity. 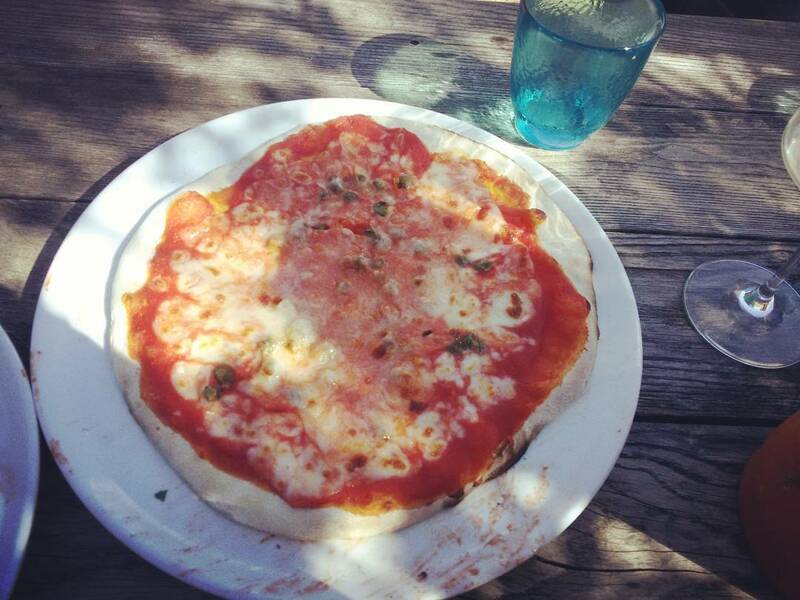 But by doing this people lost knowledge of how good Sangiovese in purezza is. But obviously to produce a good Sangiovese you need to work a lot in your vineyard. What is your advice for the novice consumer, who is about to discover his or her first Brunello di Montalcino? Start with Rosso di Montalcino; try a few producers to gain some general impression and then progress to Brunello. On all occasions do open the bottle for breathing in advance of serving. Sustainability and organic production standards are growing tendencies in Montalcino. What do you think about these movements in regard to the quality of wine? Ultra important to allow nature to express itself. The Tuscans are always game for a little argument: any critical thinking in regard to Montalcino and Brunello winemaking? Yes... too many oenologists allow wines to be hurried along for drinkability purposes. Still not enough grape selection at harvest. Too many new vineyard owners have no knowledge of viticulture and winemaking and employ oenologists without sufficient experience. How do you judge the work of Montalcino's Consorzio (the vintner's associations)? Montalcino has seen a lot of outsiders coming in to buy vineyards and the Consorzio gave permission to plant them without considering enough in what area they were planted. At times new owners also brought in oenologists, who didn't know the region well enough. Personally, I have had a hard time to find good wines from the new vineyards planted to the North West and below Castelnuovo dell'Abate down to the Orcia river. What do you think of the often very high rating of the most recent vintage by Montalcino’s vintner association? The ratings are given out just a few months after the harvest. That's always far too early to help 'outsiders' to judge. But isn't that supposed to be their purpose? The rating system definitely needs re-thinking. Wine and food pairing: what to eat with your favorite Brunello? Lobster... no sorry got that wrong! Probably during cheese course. Rosso di Montalcino DOC, Moscadello di Montalcino DOC, Sant’Antimo DOC: what do you think of the quality of Montalcino’s other appellations? In some cases a Rosso di Montalcino can be quite exciting for its freshness and natural charm... I don't have much experience with the other wines. The ones produced under the Sant'Antimo DOC are a bit of a mixed bag. French or Italian: after all these years in the wine trade, which wines do you keep drinking? I dealt with French wine for 35 years so I'm more at home with them. In Italy, you'll find a lot of ordinary wine that is perfectly fine to drink, but I'd love to see more character or personality. More gout de terroir, I want to get a sense of place when I taste the wine. Looking at the wine world at large, what have been the major changes during your long career as a wine merchant? The arrival on the world market of New World wines and then the vast improvement in wines from Spain and Italy. Robert Parker and co. Any critical thinking in regard to wine critiques? They have a significance in the USA where there are only a few experienced wine merchants. And they're recommendations are of use for new markets (like China and India), which need third party recommendations. Otherwise I would like to see individual importers having more customer respect. Where would you send wine collectors who are after rare vintage Brunellos? This is a difficult one. Remember, most of Montalcino's wineries haven't been around for too long, so the selection isn't very big. Some of the vineyards which have been producing for decades didn't use good corks, so many of the wines haven't been too well preserved. Soldera's Case Basse has great vintage wines if you're ready to pay that price. Kerin O'Keefe's Brunello di Montalcino is an excellent introduction to the subject. Tuscan restaurants and bars? Any recommendations? Antica Trattoria in Colle di Val d'Elsa (in the lower part of the town). Olio e Convivium in Firenze. And Futura in Isola Abbadia near Monteriggioni; at last a young chef who shows some inspiration in regard to Tuscan food. A favorite Tuscan drive, view or walk? As a drive Buonconvento to San Casciano di Murlo. And near Siena extended walks from our house Il Granaio into the woods behind Villa Cetinale. 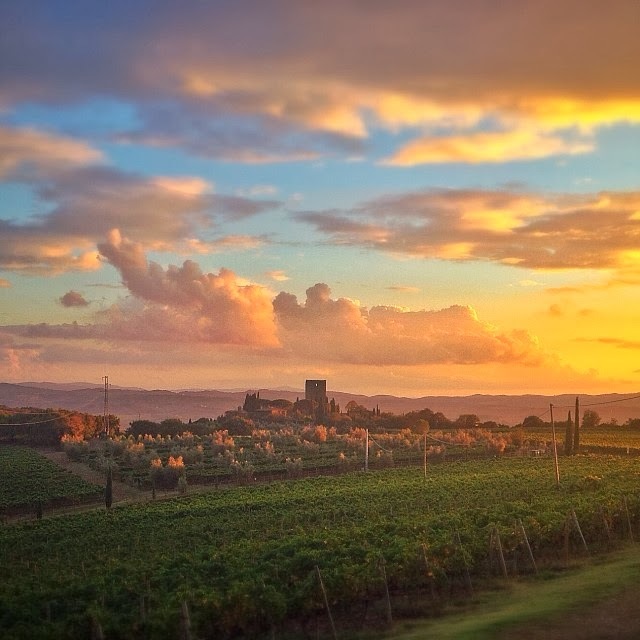 Montalcino vs. the rest of the wine world: what do you love to drink apart of Sangiovese? France: Red and White Burgundy. Sometimes Red and White Bordeaux. Rhine and Mosel wines. Always Champagne. Italy: I'm not a great enthusiast of Piedmont, but I love wines from Friuli, especially the whites are of very high quality. Whereas for the reds, the Refosco and Schioppetino are interesting grape varieties which aren't used much anywhere else, and Cabernet Franc is coming along very well there too. If not Tuscany, where would you want to live and why? In the Kenyan bush. Under certain circumstances I would have loved to live in Provence, but not among the French. We've had 15 years here which have been very good years and now it's time to fold the tents and move on so as to be closer to our children and respective grandchildren. In Tuscany, Martin Frolich produces a really exciting Riserva at Castagnoli in Castellina in Chianti. I've already mentioned the local varieties from Friuli, and at the edge of Piemonte the Timorasso grape, a local white wine variety Walter Massa rediscovered in his vineyard near Tortona. Any all-time favorite Brunello di Montalcino producers? Just as a wine Poggio di Sotto. Wine and producer: Marino Colleoni at Sante Marie, and Sesti from Castello di Argiano. Brunello di Montalcino in a nutshell: five words to describe Tuscany’s wunderkind? Very lucky other regions underperform! Looking for a villa in Tuscany? Graham and Angela are about to sell Il Granaio, so as to move closer to their children and grandchildren. Their beautiful property 20 minutes from Siena, was originally part of famous 17th century Villa Cetinale. 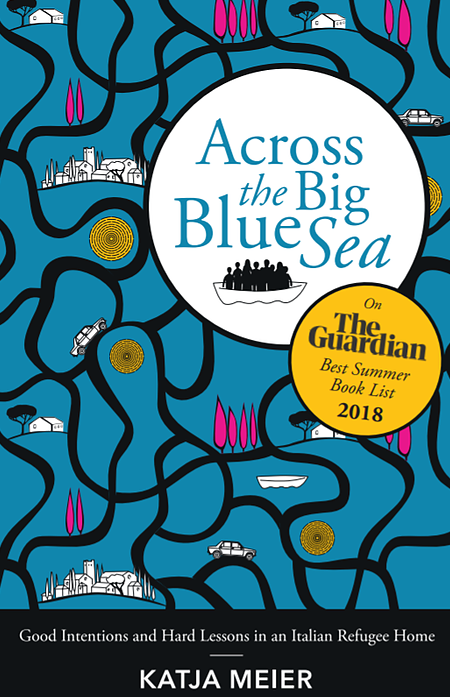 The house is set in the midst of a terraced Tuscan olive grove and even includes an African hut, I'd be happy to move in anytime (in this context see Angela Chidgey's work as a a painter; part of the sales of her past exhibitions have gone to the Amboseli Trust for Elephants). In case you plant to buy Il Granaio, remember that guests have grown accustomed to spend lunches and dinners accompanied by a selection of best European wines. Personally, I'll only visit if the new owners promise to stick to tradition by opening strict working lunches with a bottle of Deutz.